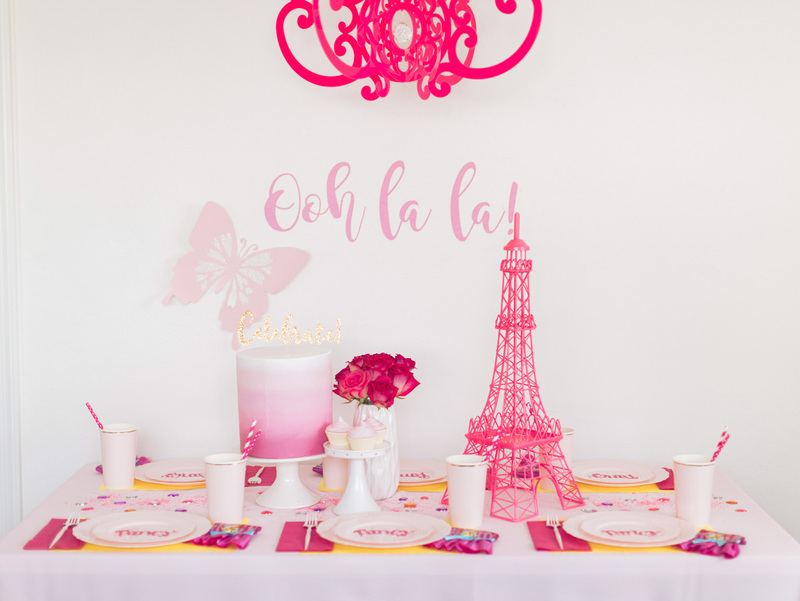 This is a great way to get the party started and also tie in your theme. 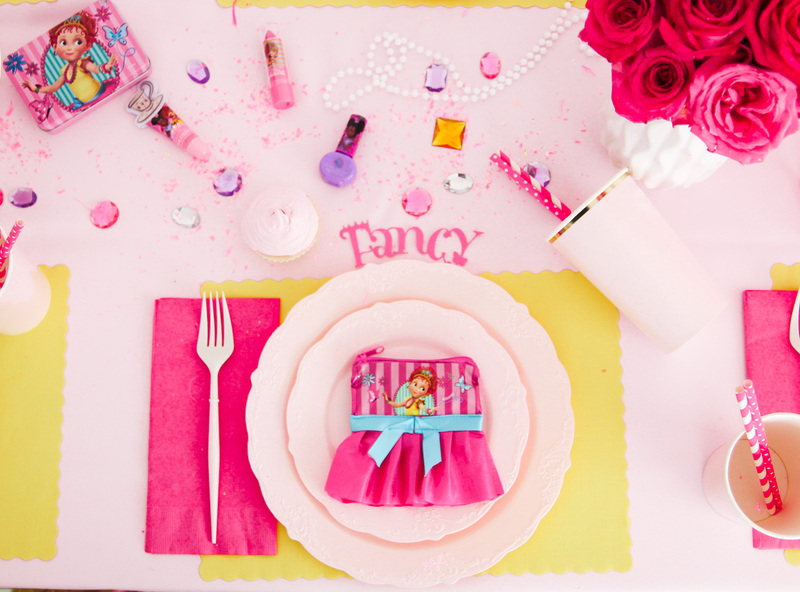 These adorable Fancy Nancy makeup bags from Townley Girl each hold 2 lipglosses in them making them the sweetest little party favor. Place them right on your table for little ladies to enjoy right away. You can even place some lipglosses and nail polishes down the center of the table for easy access. After years and years of hosting makeover parties, I can tell you from experience that this is the way to go! 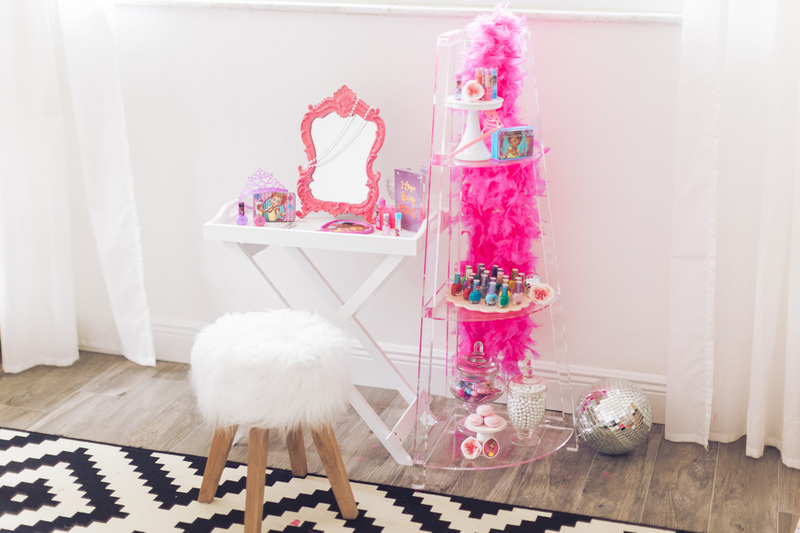 We ordered a bunch of Fancy Nancy Townley Girl makeup and nail polish sets and opened them up to display them on this acrylic display stand that I had along with some accessories and a table, mirror, and stool. The lip glosses looked adorable in apothecary jars and on cake stands. 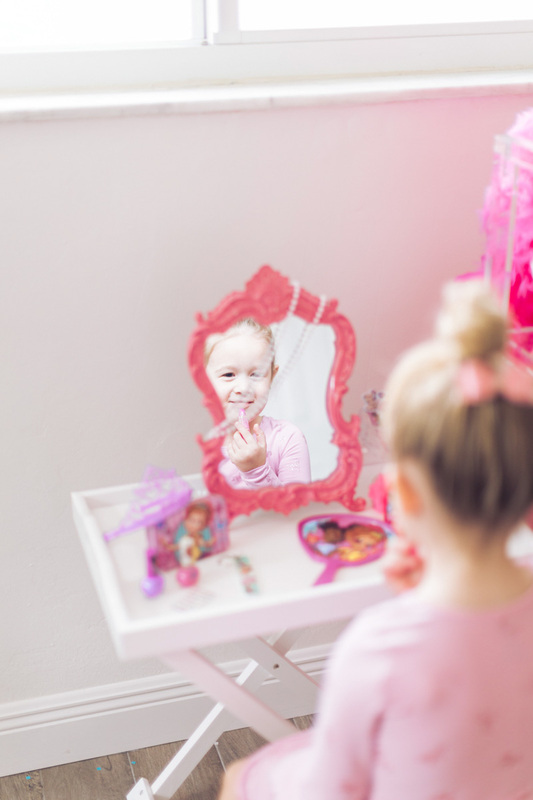 Girls can head over whenever they want to paint their nails or do their hair and makeup. A note about Townley Girl makeup, it's made for kids and their nail polish peels off easily which is amazing and so perfect for a party. 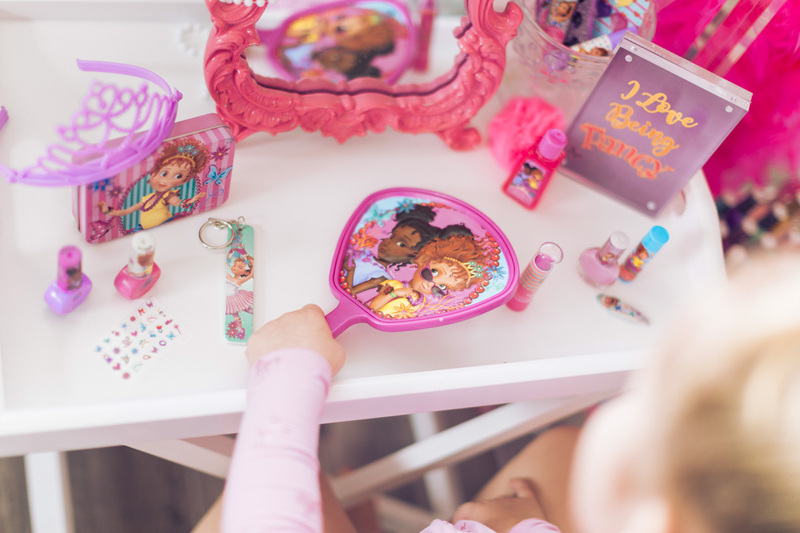 Shop TownleyGirl's Fancy Nancy collection here!